When it comes to the usual ways of learning—reading, writing, and listening to others—we often just shovel information into our brains. Mirabai Bush suggests how we can learn more deeply and enjoyably. We’re all learning all the time. Parents learn to care for children, students learn physics, soldiers learn survival skills, and all of us learn the latest app or how kale will make us healthy. But much of what we call learning isn’t particularly useful: I just “learned” on Facebook that someone I hardly know baked cupcakes today. Riveting! Mindful learning, on the other hand, cultivates insightful knowing rather than just a brain overloaded with information. Mindfulness creates space to let new information in and to allow us to see how it relates to what we already know. Recent neurological research at Harvard shows how this happens: mindfulness may actually increase the size of your brain. Mindfulness creates space to let new information in and to allow us to see how it relates to what we already know. Where did those thoughts come from? They arose in my mind, and then, if I wasn’t obsessing about them, they would float or fall away. The important thing was how I saw thoughts arise and disappear. I was beginning to see how my mind worked, and even if I didn’t like what it was doing, I felt more whole, more integrated, more confident. Not really knowing my breath or my mind seemed like not knowing what my face looked like. How could I have missed them? Of course we all know we are breathing and thinking, but it was radically different to experience them directly instead of intellectually. It wasn’t just an idea that I breathe—it was me breathing. I had learned something important in a whole new way. That led me to look at the other ways we learn, to see whether they could benefit from mindfulness. I wanted to understand ideas, images, skills, and people in an intimate way, with the clarity and confidence I was experiencing as I came to know my own mind and body. I wanted to create space in my mind instead of that crowded carnival of ideas and information and judgments. I wanted to be open to learning something new, to see things with new perspectives and understanding. Mindfulness, with its focus, openness, inquisitiveness, and humility, seemed like the perfect approach. Here are some of the practices I discovered. 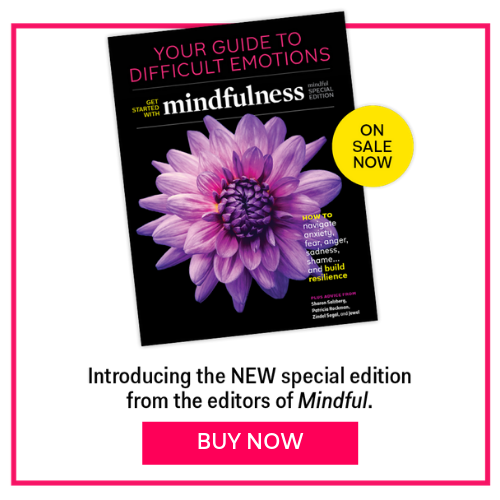 Mindful reading is radically different. It slows down the reader and the reading—that alone changes the experience. It is a process of quiet reflection that requires mindful attentiveness, letting go of distracting thoughts and opinions to be fully in the moment with the text. It moves the reader into a calm awareness, allowing for a more profound experience and understanding. Before reading, sit quietly for some minutes. Bring your attention to your breath, letting go of thoughts and sensations, returning to the breath again and again. Then read. Notice if you read with more focus and appreciation. When you finish reading, sit again for some minutes, again bringing your mind to your breath. At the end of your practice, notice what you have learned from the reading. Sit quietly and then read a short piece, perhaps a page long. What phrase stands out for you? Return to that phrase and repeat it to yourself, perhaps several times. Just sit with it. What does it evoke? Notice what images or ideas or memories arise. Do any of the words have meaning beyond the obvious? What meaning does this phrase give to the rest of what you’re reading? Hold the phrase in your mind, giving it time to suggest more to you. Now reread the full piece. How is it different? Has your relationship to it changed? Reading doesn’t have to be private. You can do this practice with as few as two people, but the more the merrier. Each person has a copy of the same poem or piece of prose. All sit quietly and focus on the breath. One person reads the entire text aloud. All sit in silence. After a while, one person reads the first line aloud. Out of the silence after that line, the next person who feels moved to read speaks the second line. And so on, until it is finished. Ask yourselves whether hearing the same words in different voices affects the meaning. Mindful reading is radically different from racing to cram information in. It slows down the reader and the reading—that alone changes the experience. At the same time, it acknowledges our interconnection. All of us, when we write, are giving something, and we need a reader who will accept our gift. We each write out of our own loneliness to express ourselves to another human being. A journal can help one cultivate the ability to live in the present, to become deeply aware and appreciative of life. Once a Day : Write something new every day. Add a drawing or a photograph to it. Journals, like mindfulness, help us appreciate the simple fact that every moment in our lives brings something new and different. We only need to notice it. Be Your Own Researcher : Write each day what you are learning from mindfulness practice—or anything else. Social Media Practice : Write about your experience of using social media. What sensations do you notice in your body before and after you communicate? What sensations do you notice when you receive a comment or tweet? Emailing allows us to get work done quickly with people around the globe. But without the emotional signs and social cues of face-toface or phone interaction, it’s more possible to be misunderstood—particularly if there’s trouble at hand. Also, mindless emailing overstuffs everyone’s inboxes. Try this with 5 or 10 emails during the week. Or all of them. STOP and take one long deep breath. Pay attention to the breath. You can count to five on the inhale and again on the exhale if you like. THINK of the person to whom the email is going and how you want them to receive your message. Could they misunderstand your words and become angry or offended, or think you’re being more positive than you intend? LOOK at the draft email again. Free writing is a method of mindful inner inquiry; you never know what you will learn until you start writing. Then you discover truths that you didn’t know existed. Begin writing and write continuously for a set period of time, say 10 to 15 minutes. If it helps, use a prompt, like “Right now I am feeling….” Or, “I have always been afraid to ….” Keep the pen moving, with no pauses to correct spelling, grammar, or punctuation. Write down whatever is arising in your mind, without judgment. Keep writing. When the time is up, stop and read. When you write, it’s possible not to judge others or yourself and still exercise discriminating wisdom, to hold multiple perspectives, and to be open to the new. When we are listening mindfully, we are fully present with what we’re hearing without trying to control it or judge it. We let go of our inner clamoring and our usual assumptions, and we listen with respect to precisely what is being said. We listen to our own minds and hearts and, as the Quakers say, to the “still, small voice within.” We listen to sounds, to music, to lectures, to conversations, and, in a sense, to the written word. For all of these kinds of listening to be effective, so we understand and remember what is being heard, we need a mind that is open, fresh, alert, attentive, calm, and receptive. We often do not have a clear concept of listening as an active process that we can control, but, in fact, mindful listening can be cultivated through practice. Early morning is especially good for listening. Try this: As you wake up, instead of turning on the TV, your iPhone, or your computer, be still and just listen. In a rural setting, the sounds may be birds and animals waking up. In a city, sounds of outside action begin: garbage collection, building construction, traffic. On campus, the sounds of opening doors, feet walking in the hallways, other students talking. Listen for the soft sounds: a cat purring, leaves rustling. Rest your full attention on one sound until it fades away, then let another come to you. As thoughts come into your mind, gently let them go and return to the sound. Then get out of bed and enjoy the sound of the water on your skin in the shower. Put on some music, maybe classical or slow tempo. Notice the sound and vibration of the notes, the sensations in your body as you listen, and the feelings the music brings up in you. When you notice thoughts arising, gently bring your attention back to the music. Breathe. Thoreau said, “The greatest compliment that was ever paid me was when one asked me what I thought and attended to my answer.” Mindful listening helps us be fully present for another person. It is the gift of our attention. It moves us closer to each other. It allows the speaker to feel less vulnerable and more inclined to open up to the listener. Not listening creates separation and fragmentation, which is always painful. To listen mindfully to another person, stop doing anything else, breathe naturally, and simply listen, without an agenda, to what is being said. If thoughts about other things arise, gently let them go and return to the speaker’s words. As responses arise in your mind, wait until you’ve heard all that has to be said before replying. Try not to let your story overcome the speaker’s. Be curious; don’t assume that you know. Listen for feelings as well as the words. Mirabai Bush is senior fellow at the Center for Contemplative Mind in Society. She has led mindfulness training for lawyers, judges, educators, environmental leaders, activists, students, and the army, and was a key developer of Search Inside Yourself at Google.